The city's distinctive neighbourhoods comprise the real heart of St Louis, retaining the influence of the many ethnic groups which settled the city. The Hill is known for its old-world charm and excellent restaurants imbued with a Latin flavour lent by its Italian community. The Central West End is a trendy quarter filled with chic boutiques and antique shops, sidewalk cafes, art galleries, and some of St Louis's finest residential properties. The French neighbourhood of Soulard has a colourful Saturday produce market. 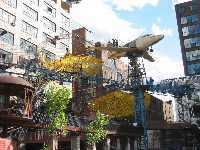 Free attractions are a St Louis tradition, and today's visitors can access more high-quality attractions at no cost than almost anywhere else in the USA. There are scores of interesting things to do for free, including numerous activities geared towards children. This makes it an excellent family destination and a good urban option for budget travellers. 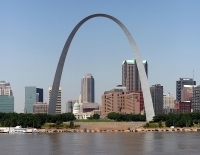 We are looking for contributors for our St Louis travel guide. If you are a local, a regular traveller to St Louis or a travel professional with time to contribute and answer occasional forum questions, please contact us.